Growing on a recently excavated hill, the morning sun turned these poppies into a breathtaking scene. It was as though they were on fire! Poppies engulfed in flames. 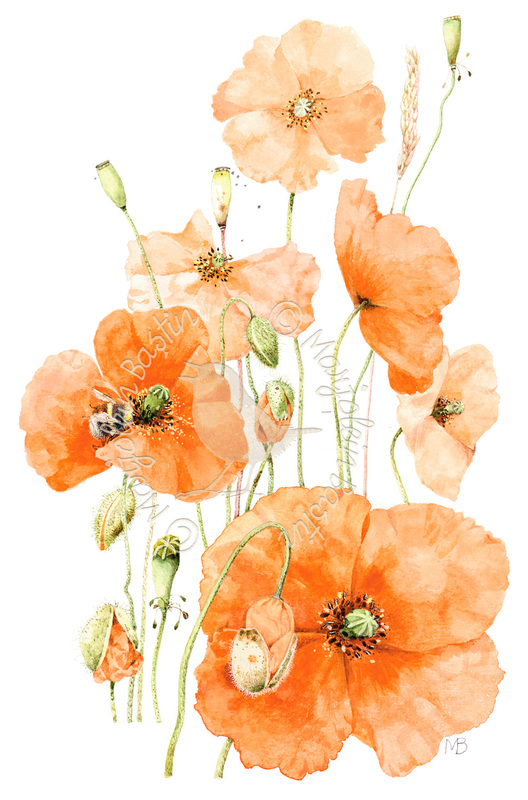 The sight of these poppies should make you happy! There are three varieties of poppies in the Netherlands: the field poppy, pale poppy and the long-headed poppy. This is the long-headed poppy, I like this variety the most because its color has a little orange in it. A poppy does not produce nectar but this bumblebee is attracted by the abundance of pollen.